The EK-Vector RTX Titan is a special edition run of the full cover EK-Vector series GPU water block. The EK-Vector RTX Titan is aesthetically designed for the best fit with NVIDIA® TITAN RTX™ high-performance graphics cards. 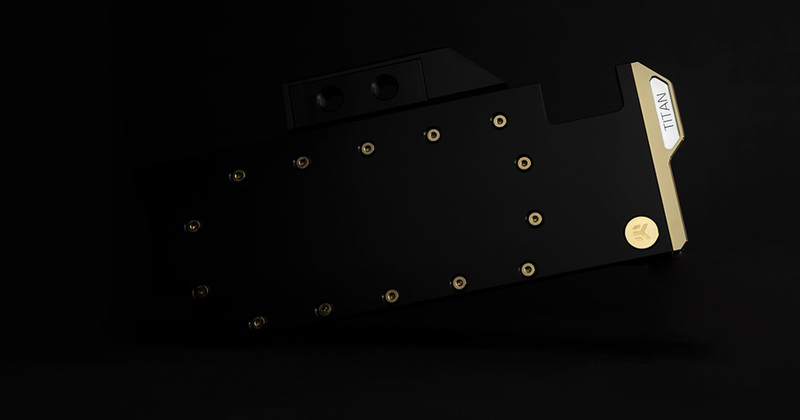 It features a performance tweaked a gold plated cold plate, acetal top cover, gold plated screws, and a special RGB lit gold plated aesthetic end piece.